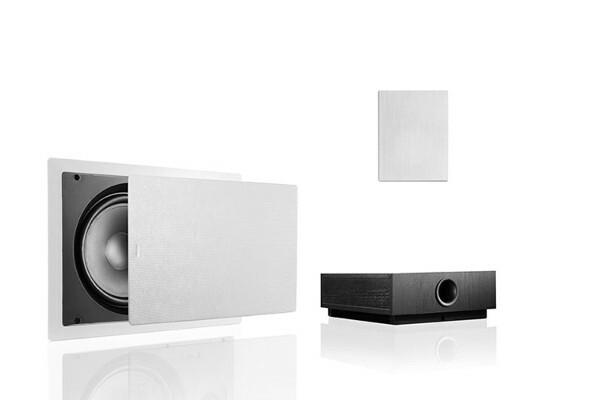 If you are looking for a high class but discreet HiFi or home cinema solution, the loudspeakers of the Atelier series are the perfect choice: The slim wall-mounted loudspeakers combine visual understatement with a sound that has no need to hide. 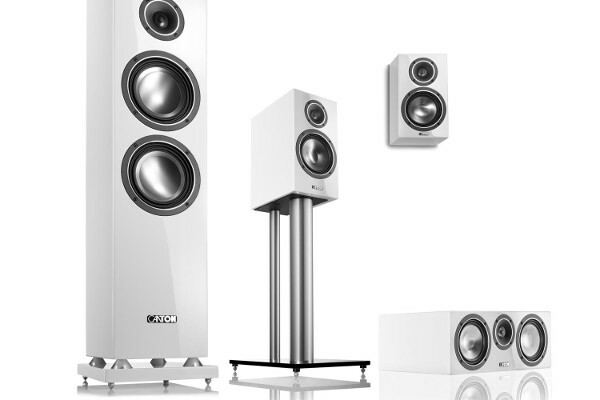 These sonorous works of art with their white, silk-matt finish and white fabric cover can be installed either on or in the wall. 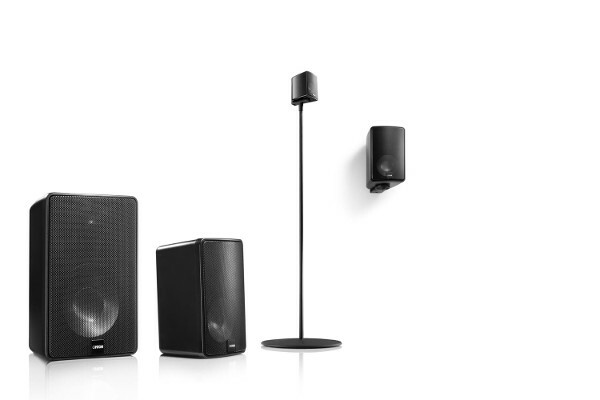 Save valuable space without compromising on the size of your sound: With their slim design of less than ten centimetres depth, these loudspeakers can be hung on the wall like a picture or integrated into it. 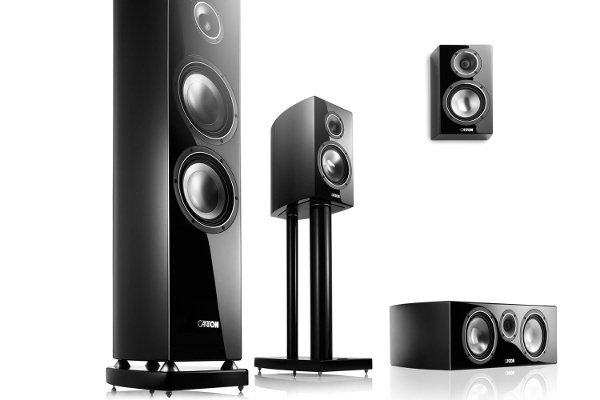 The diverse range of models means that the Atelier series is ideally suited for both music and film enjoyment: Their differing sizes make them flexible enough to suit any room concept. 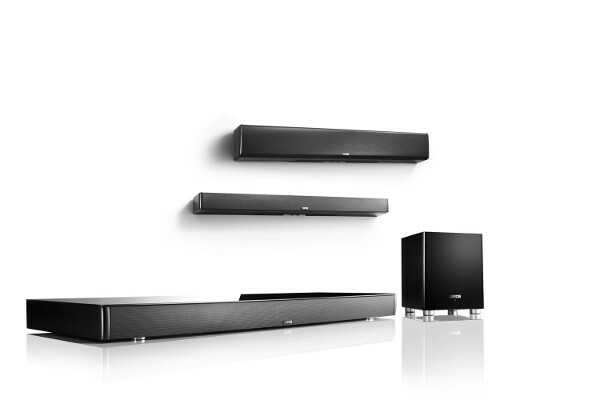 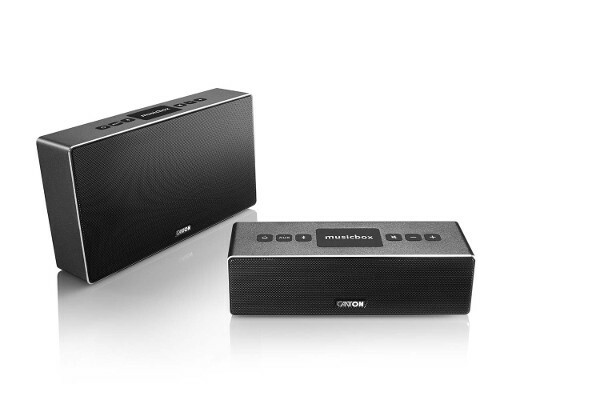 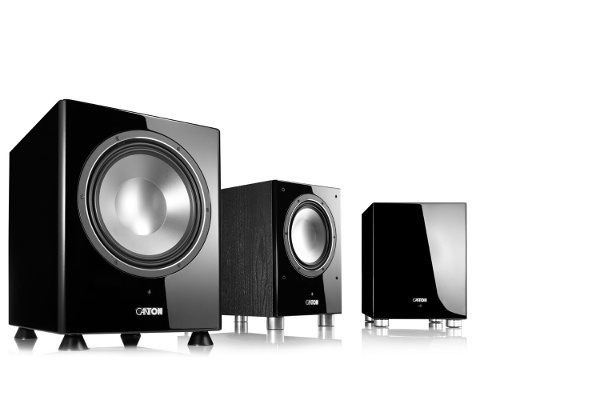 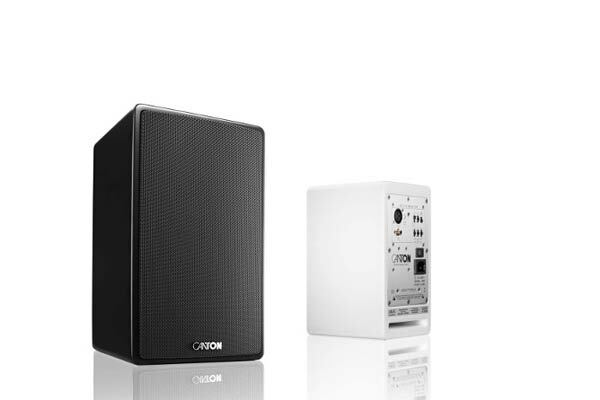 The models requiring horizontal installation are designed for use as center speakers while the vertical models can be used as front or rear loudspeakers. 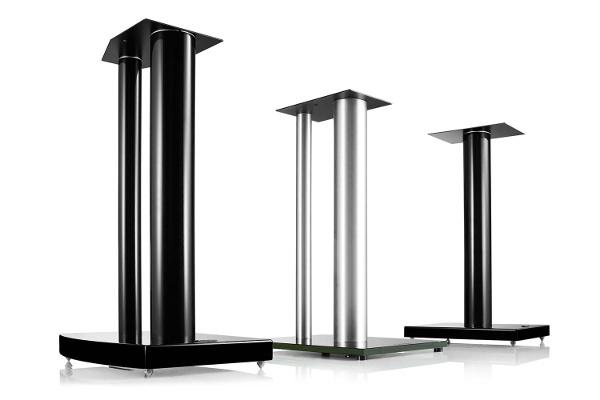 For additional amplification in the low frequency range, the Atelier series can be combined with a subwoofer, such as the Sub 8.4. 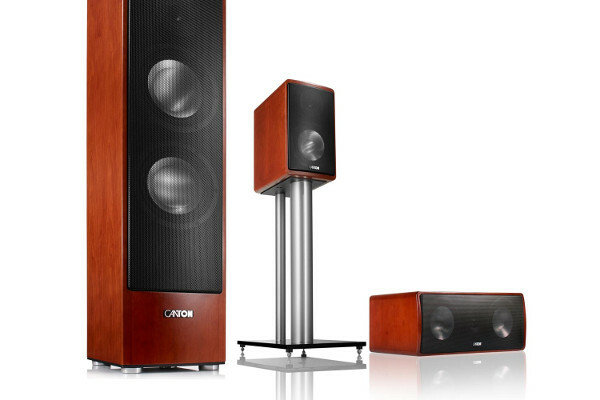 A magnetic drive paired with a oscillation system consisting of an aluminium membrane and the wave surround guarantees solid bass playback. 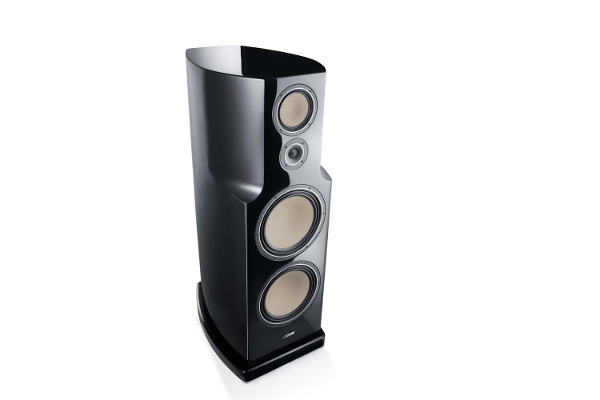 With the largest model, the Atelier 1100, the passive driver enables reproduction of deeper frequencies down to 32 Hz. 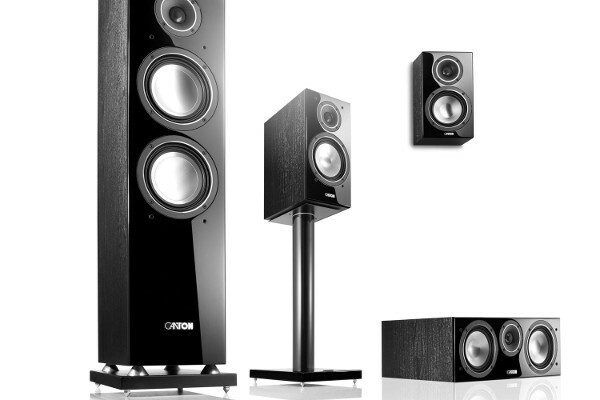 The ultra-light 25 mm aluminium-manganese dome with the wave surround integrated in the front plate has its origins in the great Canton HiFi series and guarantees defined dispersion characteristics across the entire frequency range. 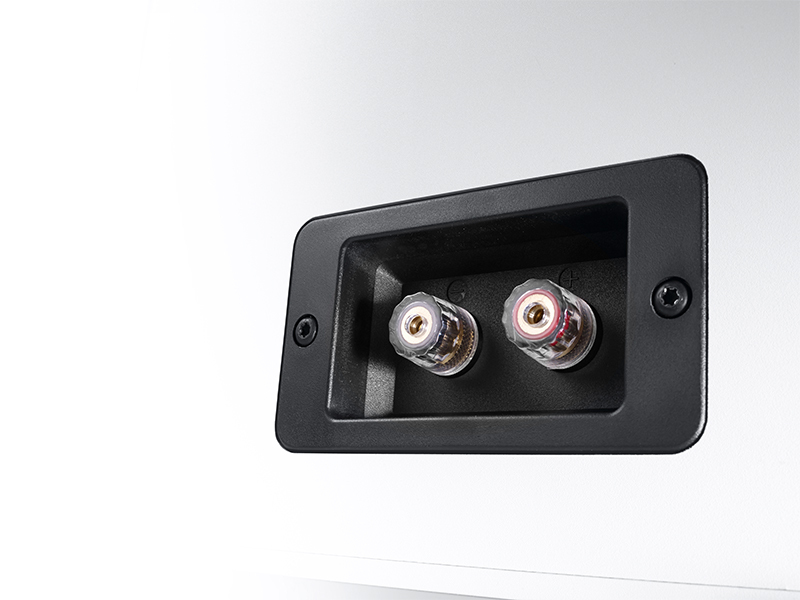 For perfect, long lasting sound, the high quality connection unit is fitted with robust screw terminals. 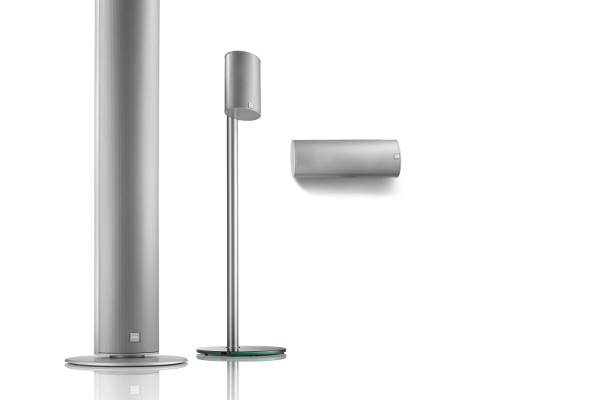 Perfectly concealed in the cabinet (Hidden Connection), this allows it to be installed close to the wall. 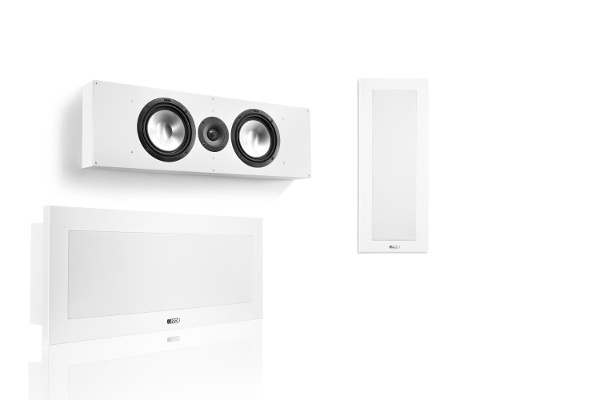 Simple on-wall installation: All loudspeakers of the Atelier series have a wall mount built into the cabinet, which makes them particularly easy to install. 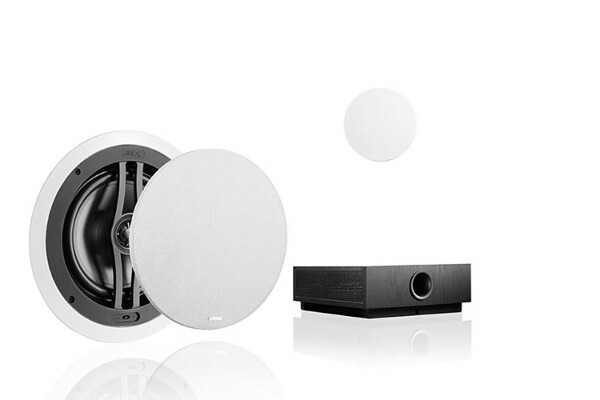 For those wishing for a more discreet look, the loudspeaker can be built into the wall itself using the simple in-wall installation kit supplied. 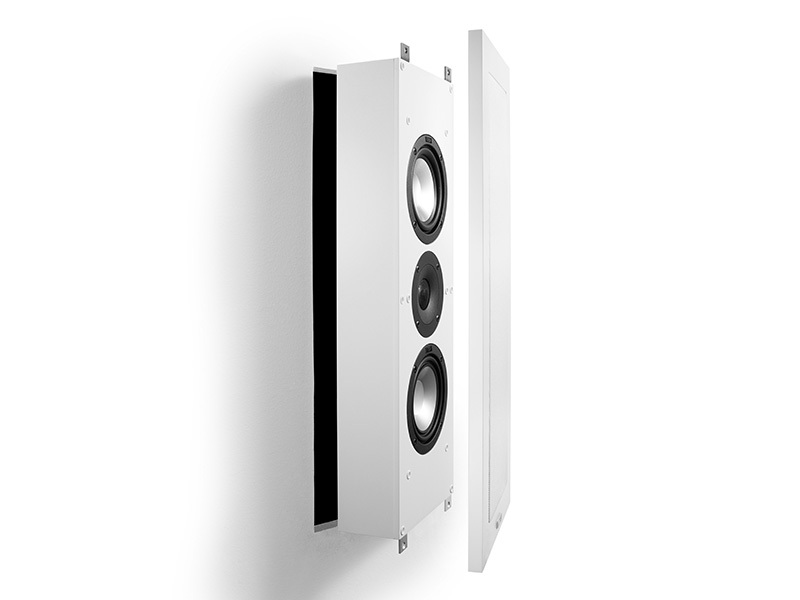 With this solution the loudspeakers only project two centimetres from the wall. 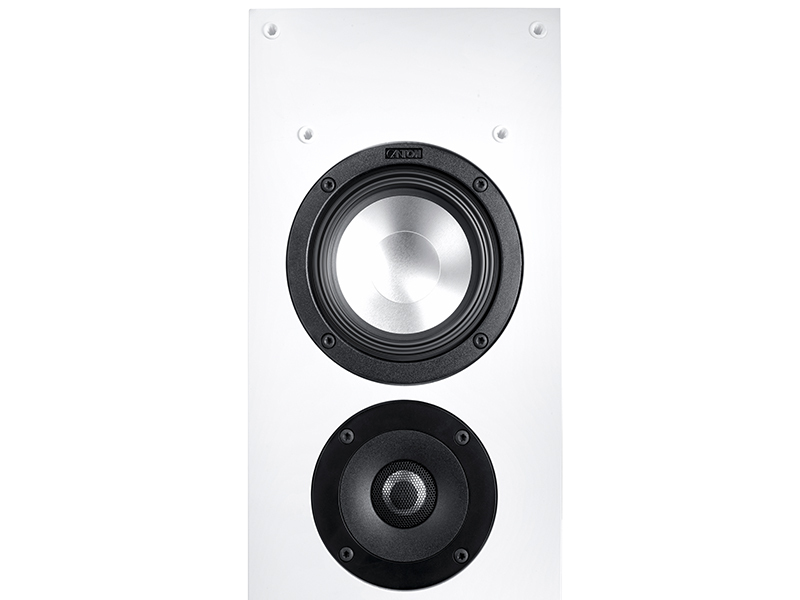 The classic, white fabric cover is edged by a silk-matt lacquered frame. 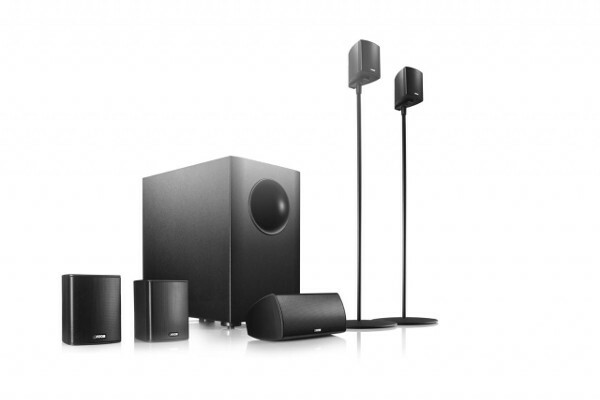 This hides the technology and underlines the elegant appearance without disturbing the outstanding sound characteristics. 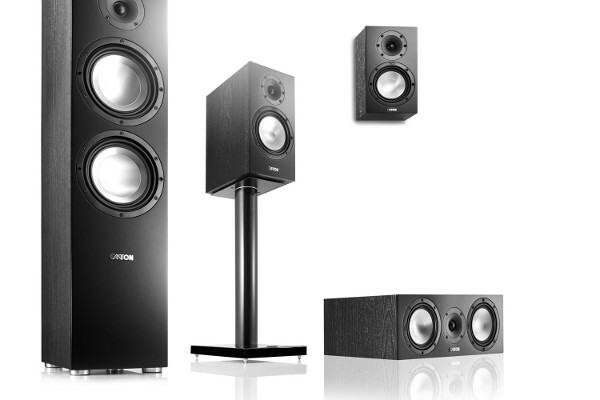 The loudspeakers are almost invisible against a white wall – or create attractive design highlights on coloured walls.